I have the freedom to work from anywhere in the world as long as I have an Internet connection and my computer. There is nothing that makes me happier than choosing my own hours, working from anywhere like remote beaches to mountain chalets, and finding my way in a digital world. That means that I spend about 10-12 hours a day on the computer. Did you know that working on a computer causes an increase of digital eyestrain, fatigue, and poor sleep because of the blue light? I had no idea until recently when I heard of BLUblox lenses. They have a revolutionary blue light lens technology that helps improve the lives of everyone who is expose to artificial blue light. 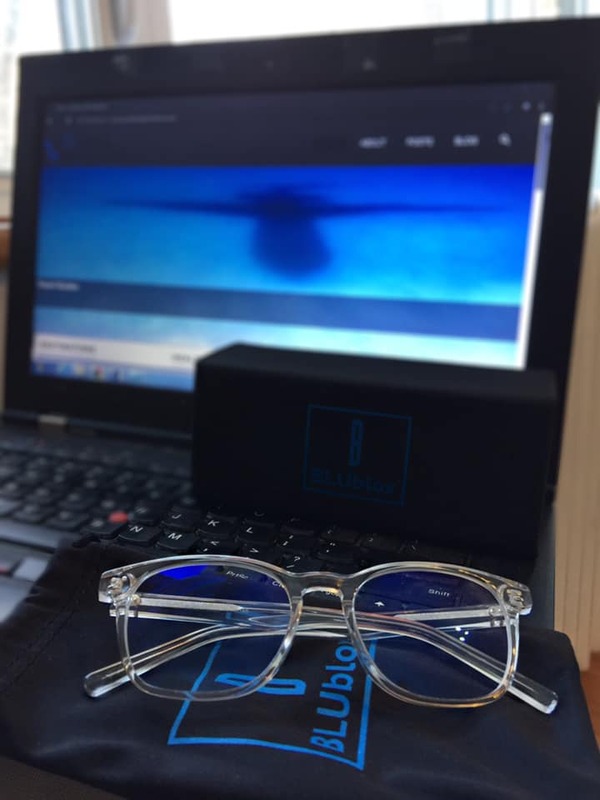 They developed BluLite lenses which filter out specific harmful blue light from computers and digital devices while retaining a clear appearance. 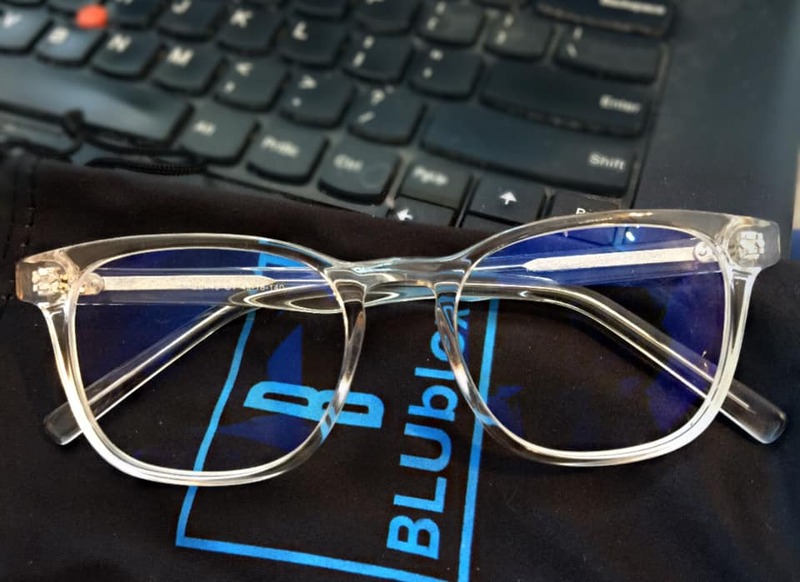 Unlike other computer glasses available, BluLite lenses filter out only the harmful blue light and allow 100% of beneficial light through, which means optimal wellness and health. I’ve been using my Crystal Computer Glasses for about a week and the difference is immediately noticeable. 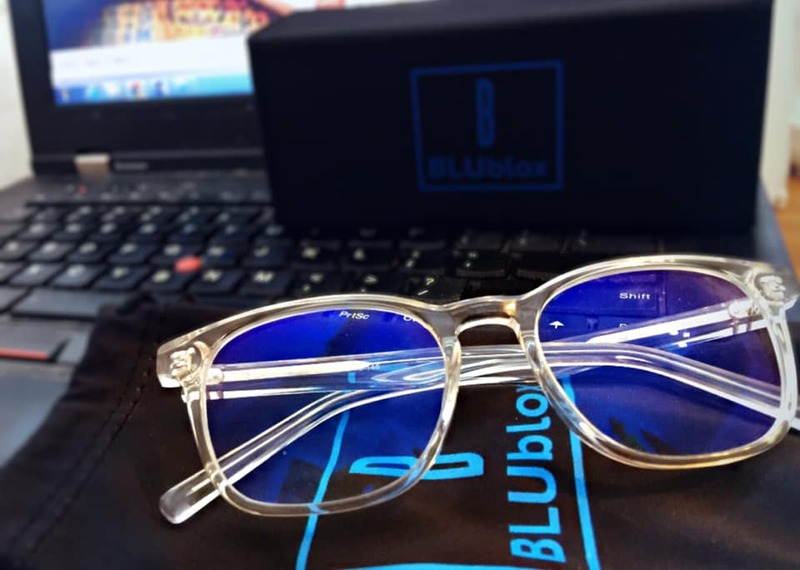 BluLite computer glasses feature lens which filters out the harmful high energy artificial blue light emitted by digital devices. By filtering this blue light across 100% of the blue light spectrum, BluLite glasses alleviate digital eye strain. 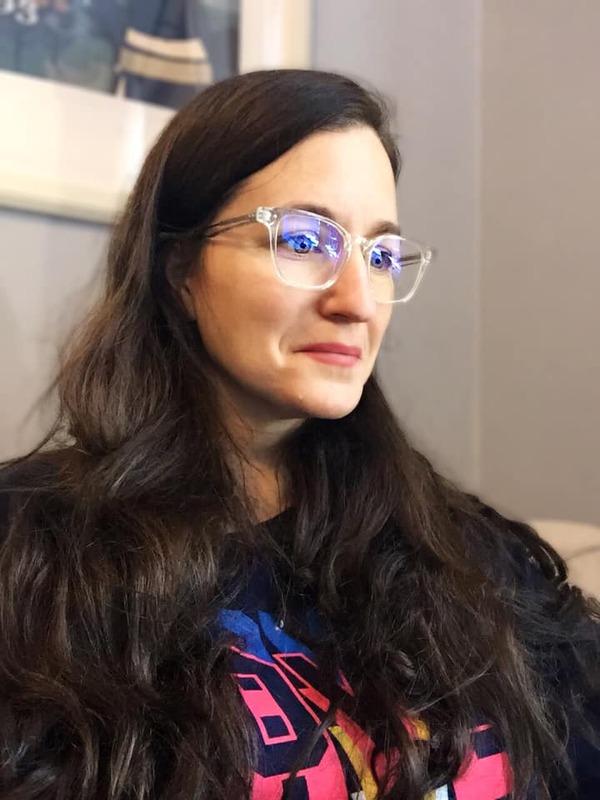 These glasses are designed for those that suffer with dry, sore, tired eyes, headaches, and migraines from screen time. For over a year, I’ve been noticing a difference in my eyes after being on the computer all day. I would go to bed with dry, tired eyes and even headaches. At first, I thought it was because we moved back to Canada and the weather is so much colder and the winters are so dry and bitter but I realized it was happening regardless of where I was in the world. I had my eyes tested and I still had perfect vision but the doctor suggested it might be from eye strain from using the computer all day. It was only then that I researched why our eyes become tired or sore from computer use and learned about blue light. The Crystal Computer Glasses from BLUblox are my favorite. The crystal is distinct yet understated. The are lightweight, handcrafted frames made from custom acetate with premium spring hinges for the ultimate comfort experience. I hardly even notice I’m wearing them because they are so light but if I take them off for a second, I can notice a drastic difference in the color. They work! They filter harmful artificial blue light across the while blue light spectrum with anti-glare lenses, meaning less eye strain. The clear lenses don’t distort color perception and they look playful and fun. Most importantly, at the end of the day, my eyes don’t feel sore or tired. I’ve even noticed that I’m sleeping better since I started wearing the glasses. I’ve become so use to wearing them that I leave them on most of the day and I love the difference. I love working from my computer and I can’t imagine any other career that would bring me more joy but I care about my optimal health and I love when such a simple product makes a world of difference.